Strike, march, plug into local campaigns, or find your own way of getting involved. The Women’s March on Washington and sister marches across the country saw historic levels of participation. This March 8, International Women’s Day, organizers are attempting an action even more ambitious: an International Women’s Strike. The Nation spoke with Tithi Bhattacharya and Cinzia Arruzza, who are on the National Planning Committee for the strike, about the different ways that people could participate. While an international strike may seem daunting, they stressed the history of women organizing against long odds: “We want to remind people that when women organized in their workplace in the early twentieth century they were told that women were ‘impossible’ to organize.” Organizers of the march also took to the pages of The Nation to defend the strike against accusations of being for privileged women and pointed to the organizing that women, particularly women of color, low-income women, and immigrant women, are already doing. Defined as a “day of action,” the International Women’s Strike is intended to encompass “all forms of work women do” and to include many opportunities for mobilizing. Below are eight ways that Bhattacharya and Arruzza have suggested people get involved. 1. In the days leading up to the strike, join or help in the creation of a women’s strike social coalition. People are organizing across the country and the International Women’s Strike webpage includes a list of local meetings that you can plug into to get ready for March 8 or continue organizing afterward. Find a meeting near you or organize your own and send info to the organizers to add to their calendar. 2. On March 8, organize or participate in local marches, demonstrations, picket lines, civil disobedience, and walkouts. 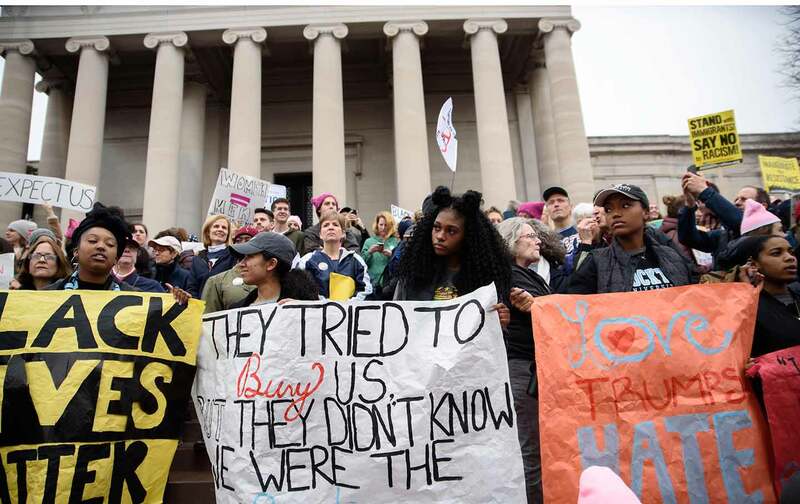 Here’s a list of actions already organized, including a protest against the “global gag rule” in Washington, DC, day-long actions and teach-ins in Ann Arbor, and an event with speakers, performances, and more in Lawrence, Kansas. You can also create your own event; participants are encouraged to be creative and to organize what works for them. 3. Plug into existing struggles. Are domestic workers in your area organizing? Is there a Fight for $15 movement in your city? You can mark March 8 by supporting existing campaigns, labor negotiations, or controversies, especially if they involve working women. You can find groups you might want to connect with among the strike’s endorsers, which includes the NYC bodega strikers and Restaurant Opportunities Centers United. 4. Organize a strike in your workplace. If you’re a member of a union, get your union on board for support. If not, assess with your coworkers whether it is possible to organize a walkout without jeopardizing your job. 5. Boycott sexism. Identify companies that employ sexism in their advertisements or approach to workers, or local companies run by known misogynists, and organize a boycott of their products or services. 6. If you can, leave care and housework for the day and join your local demonstrations. Women in Indiana have created a downloadable letter to hand to husbands or domestic partners before they head off to the rally. You can find it in the resources section of the Women’s International Strike website. 7. Wear red. That’s the color people are encouraged to showcase to show their support. Get your friends together who support the strike and wear red that day.